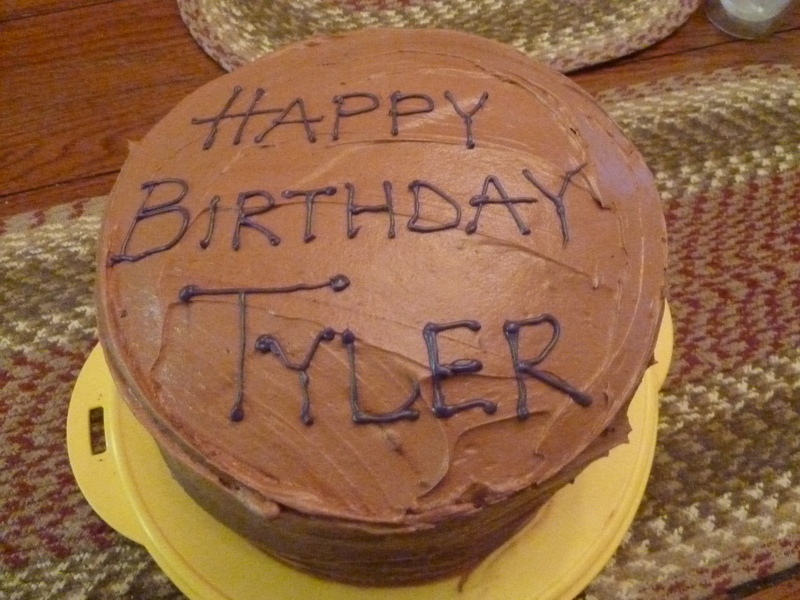 You are currently browsing the tag archive for the ‘Tyler’s birthday’ tag. Today is my middle son’s 21st birthday and what follows is for him. You have grown from that no-so-little baby into a handsome, kind, empathetic man that towers over me. You have always had an amazing smile that lights up a room, remember to use it often, no one can ever smile too much. I am and always will be very proud to be your mom. As I told you many times, I am and always will be your biggest fan and supporter. You are destined for wonderful things. Despite the world now considering you a full and complete adult, you are and will always be, my baby. Happy 21st birthday Tyler, I love you. Yesterday was Tyler’s birthday. 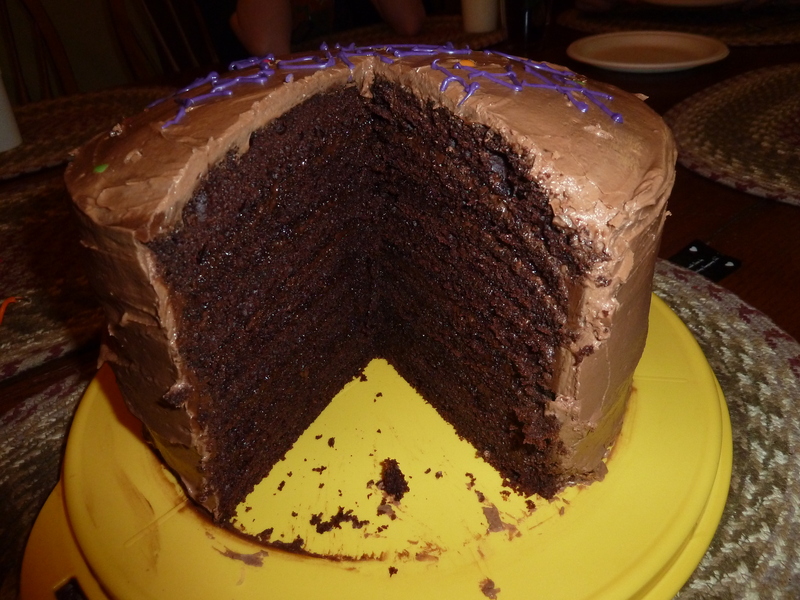 His request for his birthday was a seven layer cake, which turned into an Ocho Cake. I have to admit that I wasn’t sure exactly how this was going to go. But I have to admit that it turned out pretty good. It was a gigantic cake. 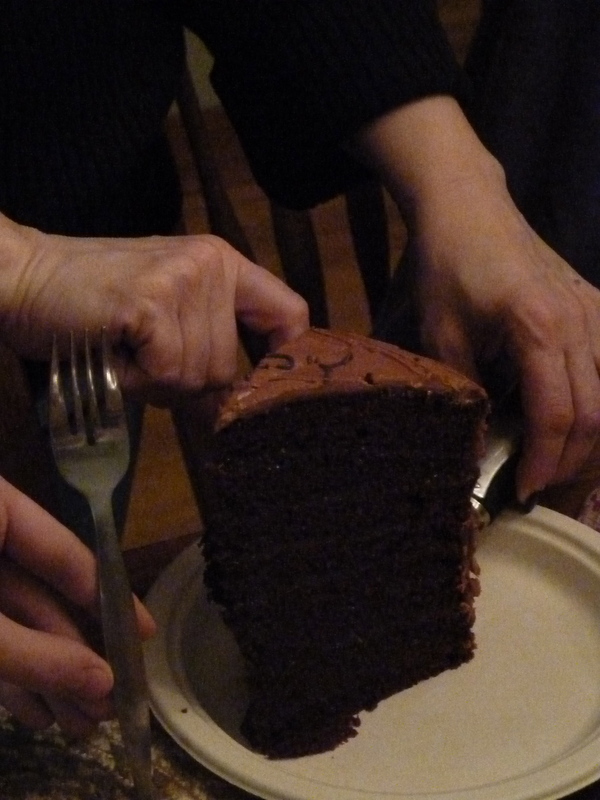 The cake was so tall that the lid doesn’t fit on the cake keeper. Just means that we’ll have to eat it quickly. 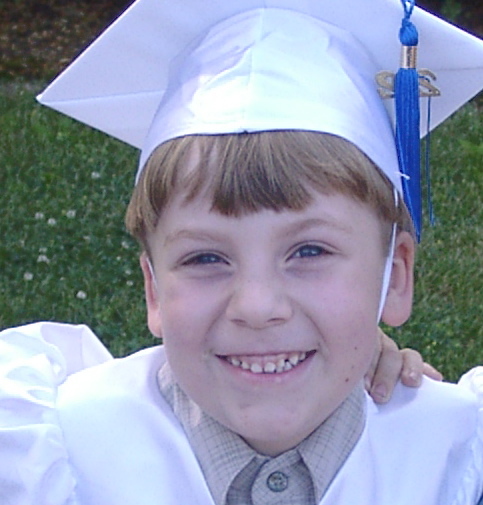 At 5 p.m. on this date, our middle son arrived into this world. An easy delivery after our first son which was startling considering the kid weighed 10 pounds 12 ounces at birth. So hard to believe that a baby that didn’t even fit in newborn diapers arrived into the world so easily – or so it seemed. It was a little scary since he was whisked away quickly as they were concerned about shoulder dystocia and his (gigantic) size which could indicate other medical issues, but all turned out well with him. He looked way different than his older brother. We’ve been lucky to have known him and have him in our lives 14 years today. I wouldn’t trade him for the world. He’s funny, empathic, a good cook, patient and handsome, if I do say so as his mom. His cake well, that’s another story. The cake was baked bright and early and eaten in part by the dog before noon. The second cake was in the oven by noon and proceeded to turn into a Haiti cake by 3 p.m. Oh well…… still it tastes good and he seemed to think it was awesome. 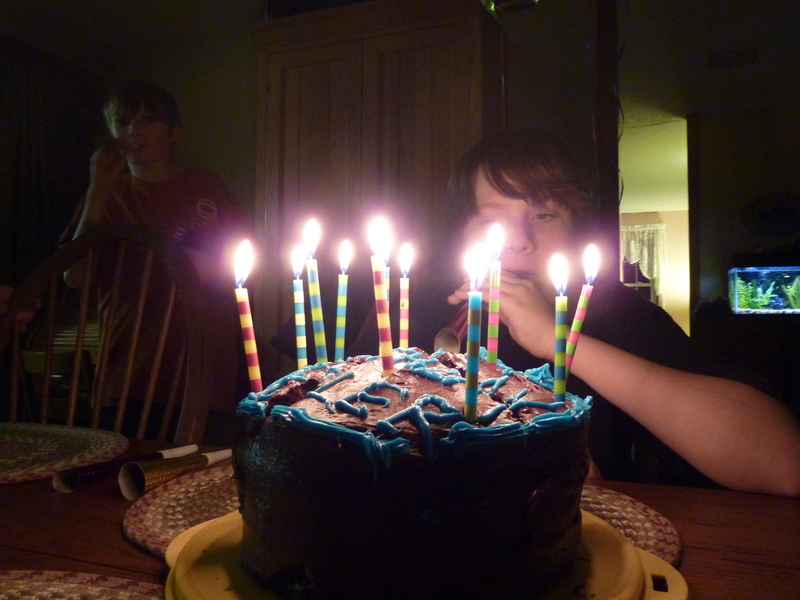 (No accounting for teenage taste in appearances I guess – I was heartbroken – he thought it was the best cake… ever).